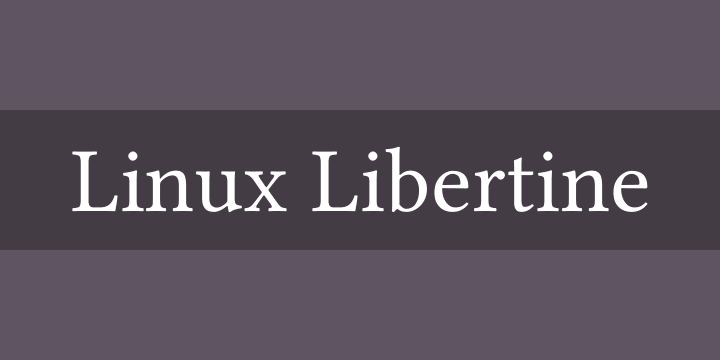 with Reserved Font Name &quot;Linux Libertine&quot; and &quot;Biolinum&quot;. Libertine Fonts are different. We don’t copy standard Windows or Macintosh fonts such as Times (new Roman) or Arial/Helvetica, which are ubiquitous anyway and thus causative for the widespread typographic monotony. We want to give you a professional alternative. To enhance diversity and optimize the face Libertine Fonts make use of design features such as ligatures, small capitals, different number styles, etc.